Sooke's fishing remains like Sooke's weather for much of the summer, hot one day, cold the next. There's still fish regularly being caught, but no guarantees. A Fishing trip report, Aug 28: "Fished Possession/Secretary until midmorning, then an hour or so at Otter Point. Caught a decent coho right off the bat, but it shook the hook at the boat. Only one solid bite for the morning, a few other nibbles. We saw a solo guy in an Arima land two nice springs within 10 minutes, off the SE corner of Secretary Island. He nicely told us 100' was the magic number and we saw he was using a gold betsy flasher. We also heard there was a bite early at Muir Creek." 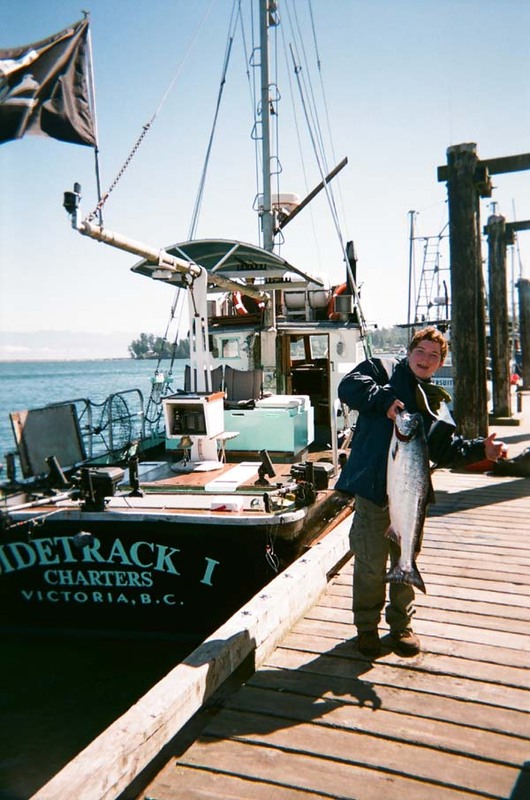 Ryan from Fresh Fishin' sent in these photos of summer fishing fun in Sooke's waters. Ron from Sidetrack sent some Sooke fishing photos too.